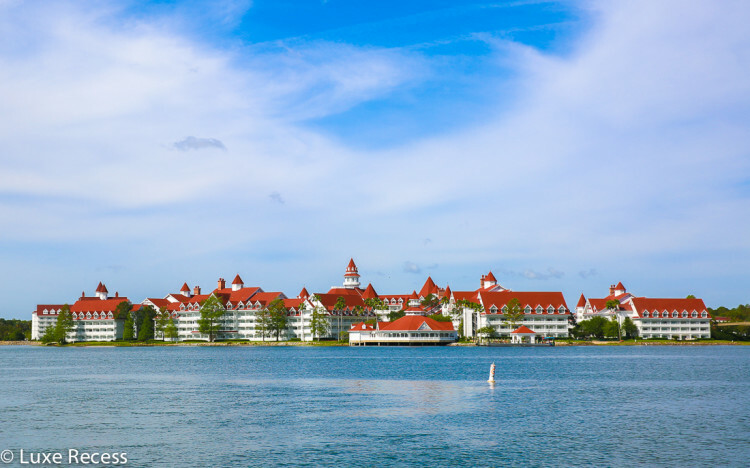 The Grand Floridian is the signature deluxe Disney World resort modeled after the Victorian beach resorts built along the Florida coast. 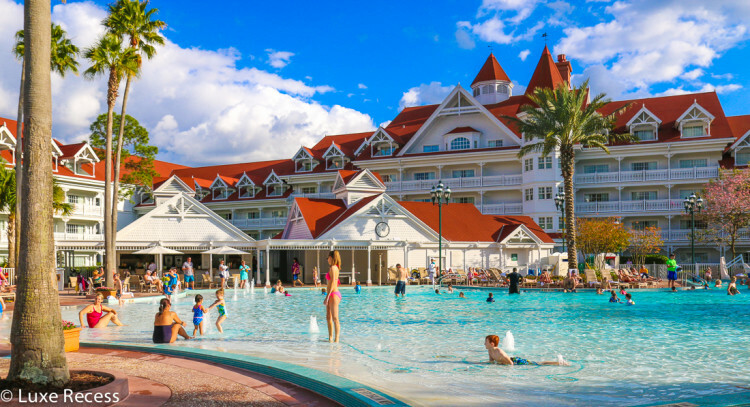 It’s impressive amenities offer the defining luxury experience at Disney World: restaurants, pools, grounds, and one of the most majestic hotel lobbies in the country. The Grand Floridian is the signature deluxe Disney World resort that enjoys a monorail location (along with the Contemporary and Polynesian resorts). Everyone has a favorite, as each hotel offers a very different experience. 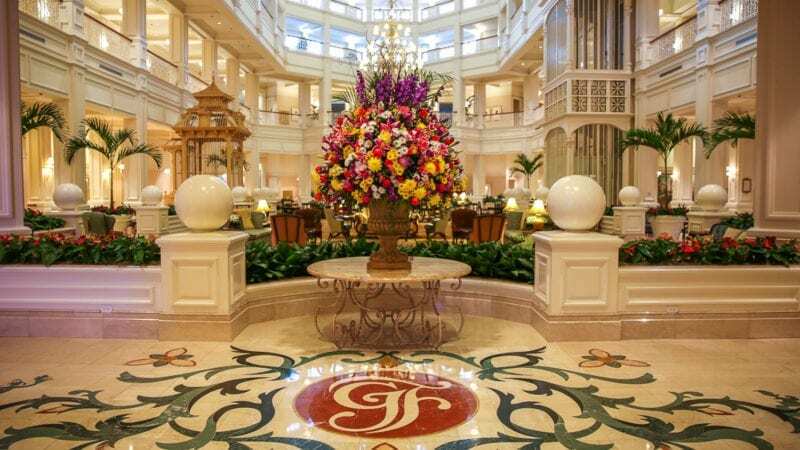 But as a lover of hotels in general, I think Disney World got so many things right with the Grand Floridian, a homage to the historic grand resorts of the United States. Cinderella and Prince Charming are regulars at the Grand Floridian. Photo by Robin Hutson, Luxe Recess. The lobby at the Grand Floridian is one of my favorite spaces at Disney World. The resort, built in 1988, pays homage to the historic grand resorts of the 19th and early 20th centuries built along the Florida coast. Those who’ve stayed at the Del Coronado in San Diego or the Omni Mount Washington will understand the inspiration behind white wood and turreted, red gable-roof structures. But the Disney World variation outshines in its lobby. The five-storied open space culminates with stained glass ceilings and massive chandeliers. There is simply nothing better than hearing the lobby orchestra’s upbeat ragtime and Americana classics echoing from its platform on the second floor balcony to the lounge areas below. Disney World had mastered multi-generational travel long before it was an industry buzzword. 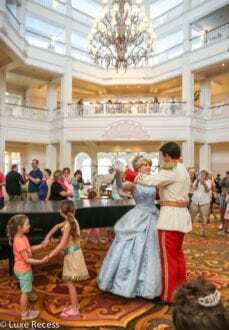 Sometimes a piano player treats the guests to dramatic renderings from the Disney songbook, which create a different but equally beautiful setting where some couples might start dancing. I know people rave about the Beach and Yacht Club pool area, but the Grand Floridian deserves a spot at the top of the list of Disney World swimming pools. There are three pools spread out instead of fused together into one expansive area, and I think this works well to serve each family seeking a different type of day at the pool. The main pool where most adults seem to flock offers a small fountain area for children at its zero-entry area, but the pool and bar area get crowded easily. We love the waterslide pool, as it is typically less crowded and is closest to the sand beach. We love the slide, and my daughter and I enjoy getting competitive with poolside Disney trivia. I know it’s for the kids, and I start out by whispering the answer in my daughter’s ear if she doesn’t know it. And then I get shameful, joining in with a bunch of ten year olds shouting, “Gaston!” or “Bernard and Bianca!” I just can’t help myself if no one shouts out the answer. The Mad Hatter splash pool is the iconic pool of the Grand Floridian. I find it hypnotic and catch myself watching the shiny lime hat perched at the top fill to the rim and spill, soaking the play structure several times in a row, as if I was uncertain of its outcome. 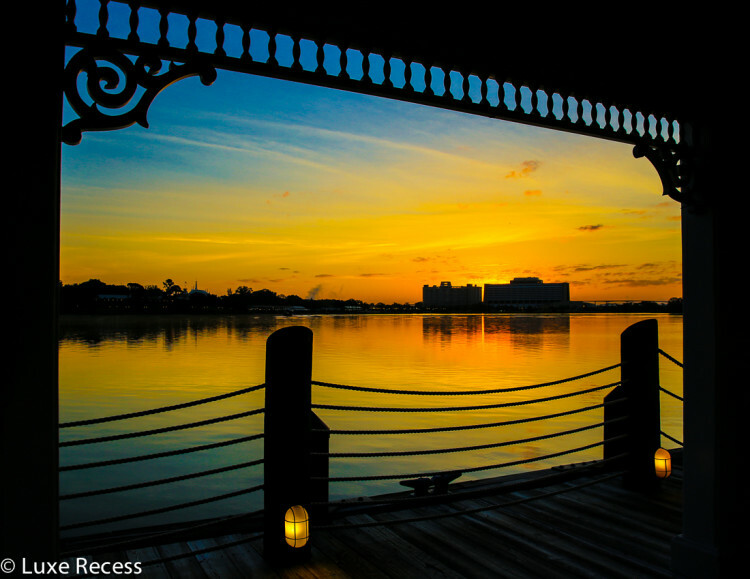 The Grand Floridian enjoys an enviable waterfront position on the monorail next to the Polynesian Resort. 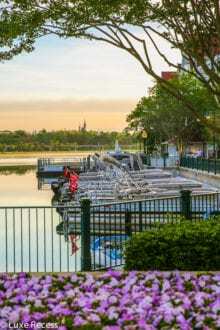 Views of the Seven Seas Lagoon, Cinderella’s Castle, and the Contemporary Resort at sunrise are spectacular, but the grounds at all hours are a treat to explore. An onsite marina offers guests boating and fishing opportunities, and the beach offers a quiet respite for kids to build sand castles and for parents to soak up majestic views. Sidewalks between the main building and the outer buildings are named after islands of the Florida Keys and are surrounded by magenta and poppy colored annuals. 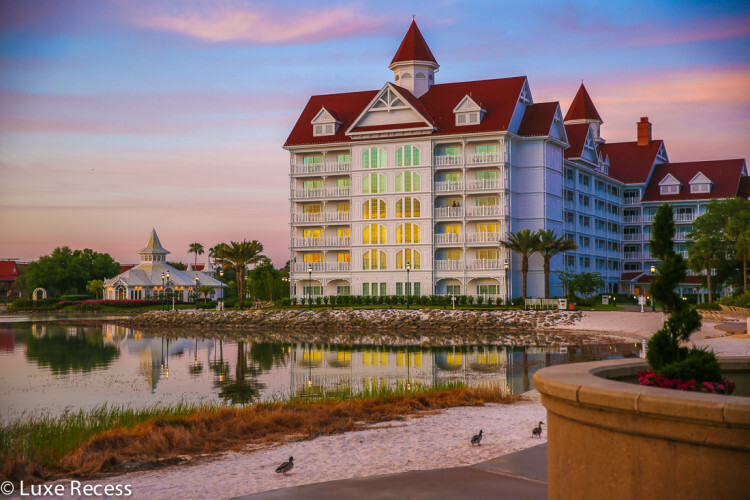 The newest additions are the Villas at the Grand Floridian, a DVC property, which offer some of the beautiful and spacious accommodations at Disney World. Although separated in their own building, we have found them no less removed than staying in outer buildings of the hotel, and we love the more deluxe bathrooms and mini kitchens in the villas. The Villas, DVC properties, are still available for the public to reserve. Photo by Robin Hutson, Luxe Recess. Seven Seas Lagoon from Big Pine Key at the Grand Floridian. Photo courtesy of Robin Hutson, Luxe Recess. 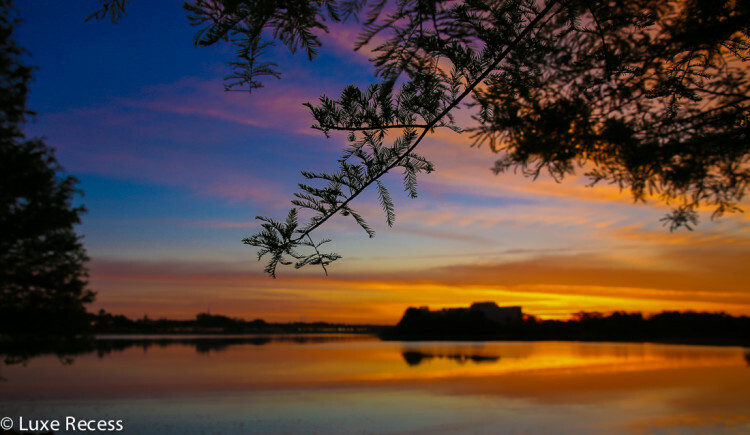 Sunrise from the Grand Floridian. Photo courtesy of Robin Hutson, Luxe Recess. 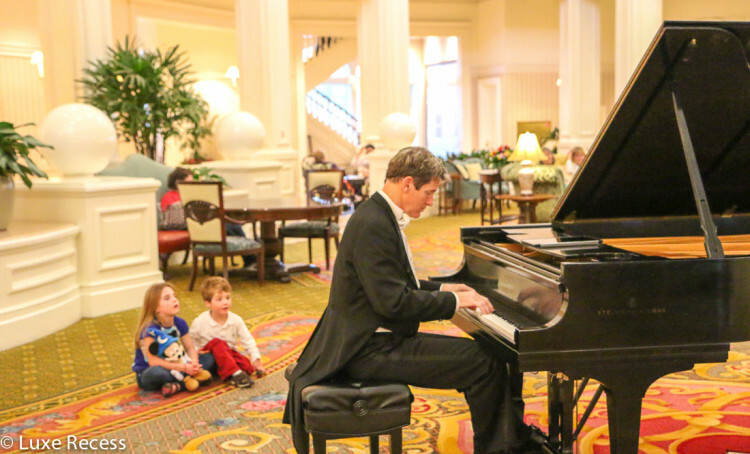 But even if one cannot spend the time on a multi-course dinner (or, much less, get a reservation) the Grand Floridian shines in other more family-friendly options. 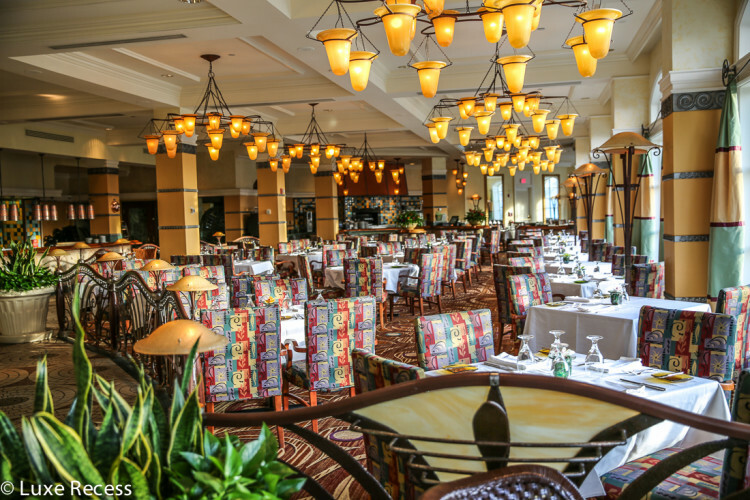 There are two other signature restaurants worthy of note for families: Citrico’s, next to Victoria and Albert’s, offering Mediterranean influenced food and Narcoosee’s, which enjoys beautiful water views of Seven Seas Lagoon and Magic Kingdom’s fireworks. Narcoossee’s is our personal favorite for truly outstanding seafood in a casual country club environment. 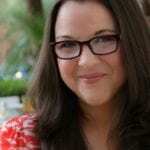 Citrico’s offers Mediterranean influenced cuisine. Photo courtesy of Robin Hutson, Luxe Recess. 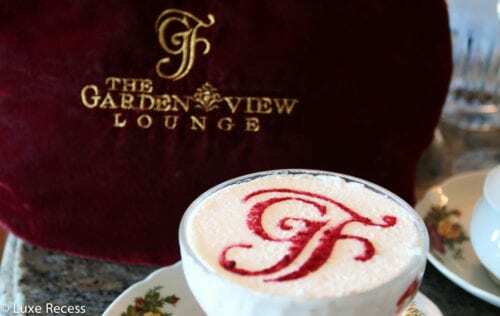 Strawberries and cream are the perfect ending to the afternoon tea at the Garden View Lounge. Photo courtesy of Robin Hutson, Luxe Recess. 1900 Park Fare is a character buffet open for breakfast and dinner that offers encounters with a large cast of characters from Cinderella to Mary Poppins. Big Bertha, a large organ, plays carnival music from its perch on the restaurant’s ceiling. The Garden View Lounge offers an afternoon tea with its wall of windows overlooking the grounds and Seven Seas Lagoon in the distance. The cast members serve classic tea treats worthy of any vacation celebration. It’s a wonderful first tea experience for young children because of Disney World’s ability to keep children entranced and in awe, and the Grand Floridian monogrammed strawberries and cream will help. The Grand Floridian integrates classic Disney characters with whimsy and elegance in the style of hidden Mickeys at other resorts. It’s a wonderful hide and seek game. 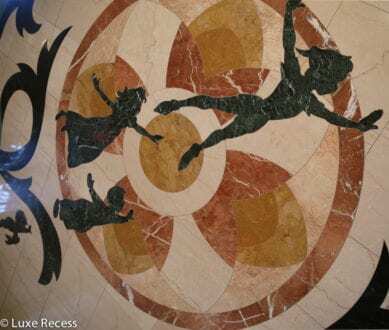 Marble-inlayed Peter Pan, Wendy, and Tinkerbell are seen in the floors, while a Mary Poppins topiary rules over a quiet space in the port-cochère behind the vintage Cadillac. Compared to most Disney World resorts, which are limited to Disney merchandise and sundry items, the Grand Floridian offers upscale boutiques for men and women. Lily Pulitzer fashion adorns Grand Floridian monogrammed mannequins, jewelry cases filled with diamond Mickey earrings await those ready to shop at Summer Lace, and Commander Porter’s carries men’s resort wear. Basin White offers colorful soaps and bath products that tween girls can’t get enough of smelling and sampling. The Grand Floridian has a complete spa and health club as well as a hair salon on site that work well for those attending weddings or meetings at the convention center. For any mom who gets away on a Disney Vacation to get a massage, I salute you. Really. The most deluxe feature— some would argue— is the resort’s proximity to Magic Kingdom. Guests can take the monorail or a boat to the park. The monorail, with a transfer, can take guests to Epcot as well. 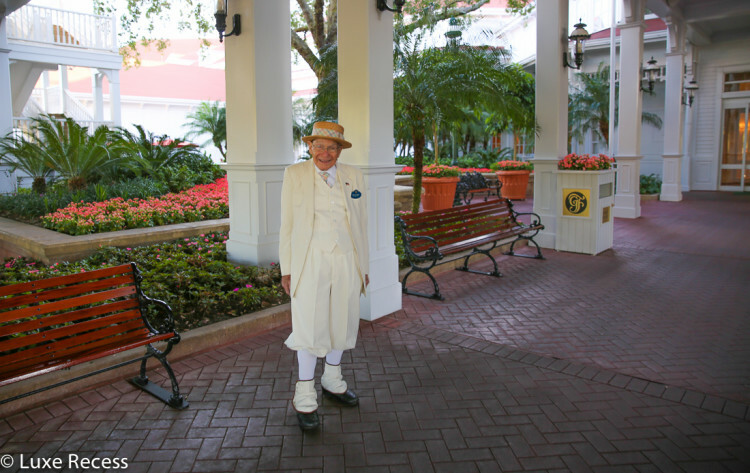 Richard is a 91-year-old living treasure of the Grand Floridian. After he was widowed, he told me, he heard a calling to come down to Lake Buena Vista from his home in New Hampshire. He has been a greeter for twenty-five years and is a cast member icon. Return guests approach him for pictures talking about the last time they met him. He handles his celebrity with the humility you’d expect. He even has his own Facebook page. Richard, greeter at the Grand Floridian, ready to welcome you. Photo by Robin Hutson, Luxe Recess. When our family checked into the Grand Floridian Villas the first time, two greeters approached us as we got out of the car and repeatedly shook my husband’s hand. It felt a little forced and a tad awkward. Richard, on the other hand, stands with one foot perched in front of the other sporting a straw boater hat with his arms long by his side. If you are in a hurry, you might walk right past him. 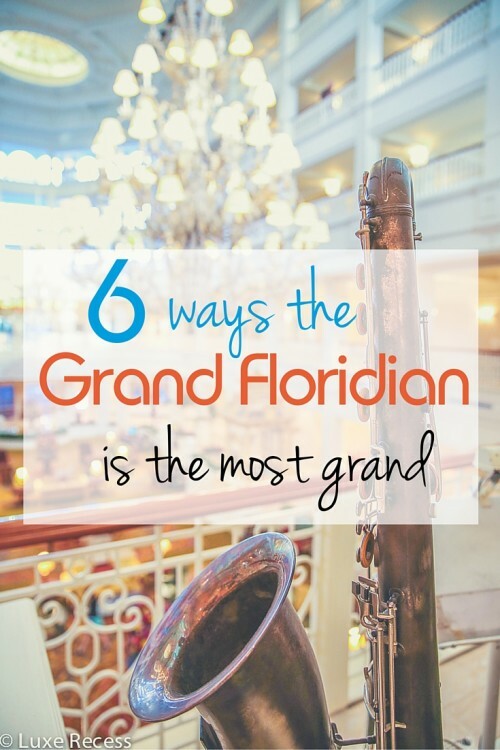 But if you step out of your car and slowly take in the Grand Floridan’s entrance, he greets you with a steady gaze and warm smile. He possesses a presence few do, and in a place where many people will chirp to have a magical day, Richard shakes your hand and gives you his complete attention. He has figured it out, bringing nothing but himself to every interaction. Without artifice he welcomes you to the Grand Floridian; families make a pilgrimage to Disney World to feel, for a vacation, as Richard lives. 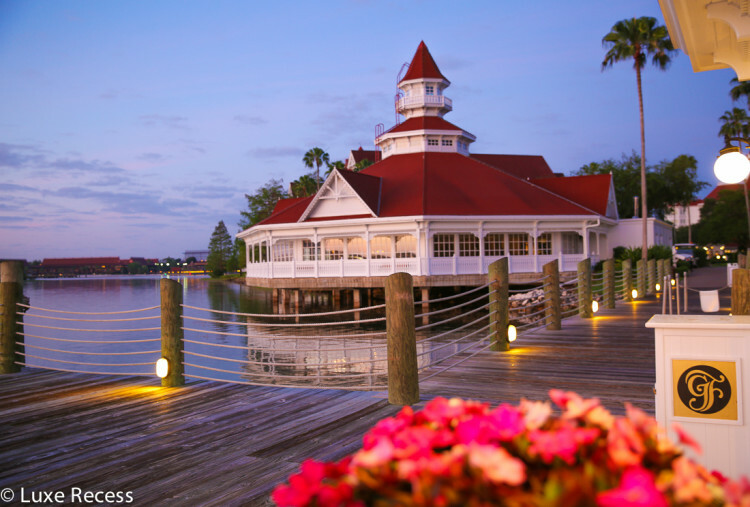 The Grand Floridian is Disney World’s most deluxe resort. Photo courtesy of Robin Hutson, Luxe Recess. What gorgeous photos! 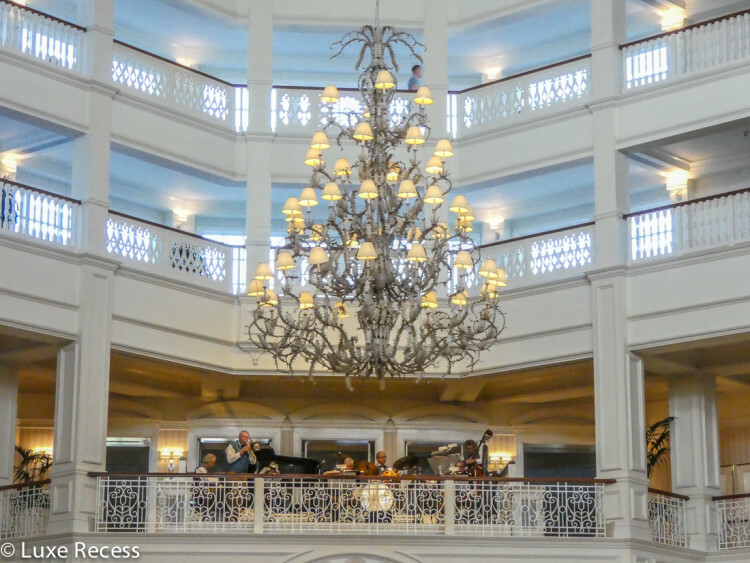 You very well captured the ambiance and spirit of the Grand Floridian. Thank you very much! It is one of my most favorite spots in Disney World to photograph. Again and again and again! Oh shame on me—–I walked right past Richard. Thank you for taking time, for noticing and for sharing.